Yesterday, young earth creationist Ken Ham hosted household name Bill Nye at the Creation Museum to “debate” evolution. See the recording here. I first heard about the Nye Ham event a few weeks ago, and was at first perturbed with Nye that he would enter into such an exchange. I side more with Richard Dawkins (on this one), that entering into any kind of discussion with creationists lends some sort of validity to their perspective, which can usually be cured with a heavy dose of education. Last night I tuned in for about an hour of the talk, and heard two men speaking past one another for most of the time. On one side you have a young earth creationist and seasoned debater. On the other was Nye, a relatively inexperienced debater but a strong advocate of accurate, scientific education. After the show, Buzzfeed wrangled 22 creationists with a pad of paper and a pen. The object of the exercise was to send messages to those who believe in evolution (see our next post “22 messages to people who believe in gravity”). Most of the creationists had self-satisfied smiles, but all had fundamental misunderstandings of evolution. My favorites revolve around the origins of humans—in fact, there were two comments made directly about Lucy. However, I threw in another quote, on the sunset, for good measure. Quotes are direct including any errors. I highlight the first two quotes because of their direct relevance to anthropology. The first, asking why there are still monkeys, fundamentally misunderstands the process of evolution at its most basic level. The second respondent ignores the entire field of paleoanthropology, which expands exponentially every year with new discoveries. 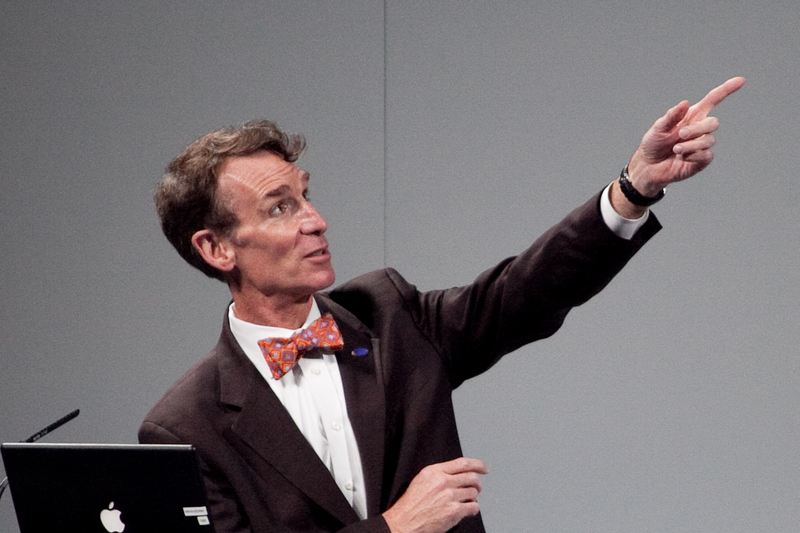 I agree with Nye’s main point– the only way to fix misconceptions like these is through improving science education. After seeing blatant misunderstandings of simple evolutionary concepts, I am reminded how impossible it is to argue with the misinformed. While I’m not positive what the impact of the debate will be yet, I am hopeful that bringing the issue front and center for a little while will be positive. The Ham-Nye debate: Think elephant and two blind men. Nye at least touched the beast.